In an effort to help your child be successful in the world, it can be helpful to understand some of the typical social skill deficits for children with high functioning autism. These issues come from fundamental differences in the way autistic children process information. May have a hard time understanding role changes in games like "Tag"
Most high functioning autistic kids will exhibit some of these characteristics, but you may find that your child has strengths in other social areas. Playing up these strengths and helping your child learn to use these assets will allow your child to compensate for any social deficits he or she might have. In examining these social issues, it's also helpful to understand how your child sees the world. For many kids on the spectrum, taking another person's perspective is one of the most challenging social skills they will encounter. It's common for high functioning autistic kids to have a hard time seeing the world through others' eyes. They often believe that what you experience is the same as what they experience, and this can have major implications for future social interactions. This difficulty is called "Theory of Mind," and it accounts for many of the deficits you may perceive in your child's social world. If your child feels that everyone sees and experiences the same thing, he or she may not feel the need to communicate his or her experiences or ask questions about others' experiences. This type of communication is integral to social interaction. Since it's hard for your child to imagine others' perspectives, he or she might not understand if something has offended someone or if another's personal space has been violated. Your child may not be able to understand if another person is bored with a topic of conversation, since this would require taking the other person's perspective. The same goes for asking questions about something that interests another child, such as a new puppy or a favorite toy. Perspective challenges can also affect things like taking turns. If the experience of playing a game is the same for everyone, as it might be in your child's world, then there's no reason to take turns. Many children on the spectrum are also dealing with sensory integration issues. This means that your child may have problems sorting though all the sensory information he or she is receiving from the outside world. A child on the spectrum may also need additional sensory input, such as rocking or hand flapping, in order to understand his or her place in the world. These sensory issues can make it hard for your child to focus on another's eyes while also trying to listen to what the other person is saying. A sensory-challenged child may also use objects in ways that satisfy sensory needs, such as spinning a pencil on a desk, rather than the original purpose of that object. This can also happen with toys and can be off-putting to other children. Another important consideration when it comes to autistic kids' social interactions is the typical reliance on routines. 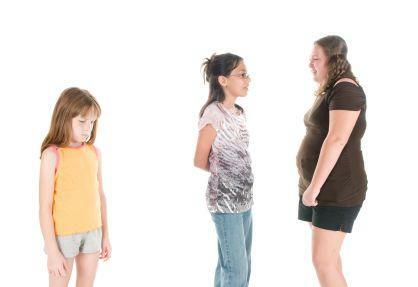 Your child may expect that social interactions will follow a pre-arranged pattern. Since life isn't really like that, your child may become flustered when the conversation or interaction deviates from this plan. Your child may find social patterns reassuring, and it's common for the unpredictability of social interactions to cause kids some distress. Practice various social interactions at home. Help your child learn how to start a conversation and use small talk. Practice asking questions. Teach your child what facial expressions mean. Show him/her the signs that someone wants to change a topic of conversation. Joke with your child. This may seem awkward at first, but many high functioning autistic kids actually love humor. Talk about personal space and social expectations. Tell your child which behaviors are unacceptable in public. Discuss perspectives as much as possible. Talk about what you see and what your child sees and note any differences. Talk about how others are feeling. Practice taking turns and playing pretend. Stay positive! While it's common to see social skills deficits for children with high functioning autism, you and your child can work together to overcome many of these challenges.